Production Health & Safety isn’t meant to be scary. The point of having sensible H&S measures in place is to keep everyone safe. After all we are filmmakers, not special forces soldiers (the sleep deprivation can be similar). The consequences of not taking it seriously can be scary though. Isn’t Health & Safety Just Common Sense? A great deal of it is. But common sense can struggle to prevail on a film set when you are losing light, the talent is looking at their watch, the weather is closing in and everyone is pretty tired. Those are the moments when sticking to your H&S plan is crucial and yes common sense is a key factor. It is also about working through your shoot in advance to make sure that you have that very plan in place in case something doesn’t go quite the way that you want. Don’t most injuries happen on low budget projects or during stunts? During the filming of Star Wars: Episode VII, paramedics were called to Pinewood Studios in the UK. They attended to a 71-year-old man who had injured his ankle when a door fell from the set of the Millennium Falcon. 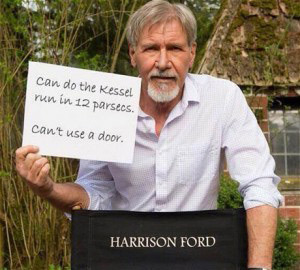 The man was Hollywood actor Harrison Ford, and he ended up being out of action for several weeks. Health & Safety isn’t about how much money is involved, just how much care is taken. Insurance may help cover the cost of damage or provide compensation in the case of injury or worse. It doesn’t stop these things from happening, it just deals with the aftermath. The best approach is to prevent these situations from arising in the first place. So I need to do even more paperwork? Film and TV productions often require long hours in challenging locations working to a fast turnaround. By having proper H&S procedures in place, you are playing your part in keeping everyone you work with safe. How involved you are in this process and how much responsibility you carry depends on your role. There are two key types of document that any production company should have in place before production starts. One is their Health & Safety Policy which lays out the company approach to H&S. The other is Risk Assessment which may be created for each scene, location, day, week, block or even a whole shoot depending on the timings and complexities involved. But isn’t every shoot different? Yes it is. That’s the point. Every time you plan to shoot, look at what is involved – even if it is very similar to something you have done before, it is unlikely to ever be exactly the same. I have worked as a one man band (no music involved) and as part of crews that number well over 100. The approach to H&S should be the same in both cases; plan ahead. There is no such thing as an accident. A highly experienced crash investigator told me this once and I tend to agree with him. We use the word ‘accident’ to refer to everything from spilling a drink to road crashes and even nuclear explosions. The word suggests that luck or fate played a part but there is always at least one specific cause for the incident that could have been foreseen. The definition of an accident is “an incidental and unplanned event that could have been prevented had circumstances leading up to the accident been recognized, and acted upon, prior to its occurrence.” (Robertson, 2015). It is no surprise that “Most scientists who study unintentional injury avoid using the term “accident”. (Robertson, 2015). 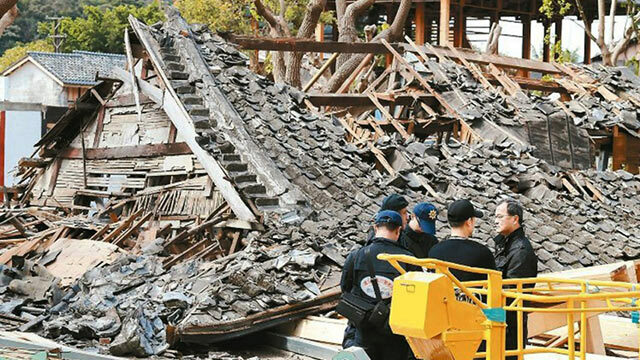 Police investigate the site of a scaffolding collapse on a Martin Scorsese film that killed one worker and injured two more in Taipei, China earlier this year. Under most health and safety legislation (check the specifics of your country though), the ultimate responsibility for health and safety rests with the production company and those in control of relevant premises (studios & locations) and facilities (equipment, vehicles etc.). 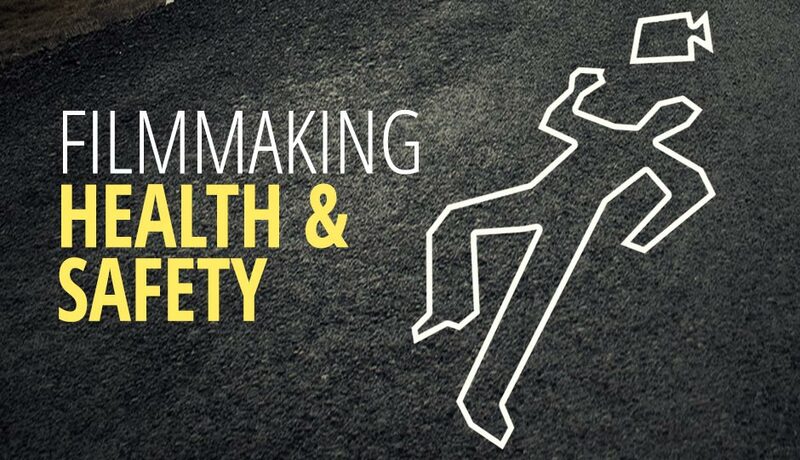 It is initially up to the production company to establish appropriate procedures to control risk and place H&S alongside editorial and/or dramatic considerations. There should also be good planning, communication, co-operation and co-ordination by and between all parties involved in a production. Especially communication. But the production company boss is never on set! On a day-to-day basis, the producer has overall responsibility for ensuring that appropriate standards of health and safety are achieved and maintained throughout the production process. Producers should ensure, so far as is reasonably practicable, that persons working with and for them are not exposed to risks to their health and safety. There should always be at least one experienced member of the crew who is aware of health and safety issues. Some genres may pose more risks than others i.e. horror or action films or scenes involving animals. The production team should discuss safety issues before filming begins and take steps to avoid or reduce the risks identified. It means taking precautions that are possible, as well as suitable or rational, given the situation. spend the bulk of your week on H&S training, compliance and documentation. 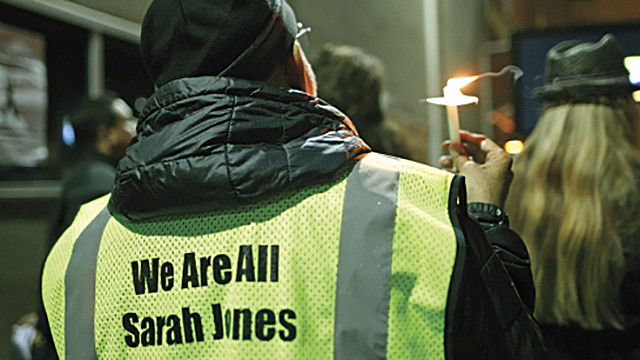 You may already know about the 2014 incident in the USA that killed 2nd AC Sarah Jones. If you don’t, maybe take a moment to familiarise yourself with the facts. I will post a link at the end of this article. Surely that is a one off? 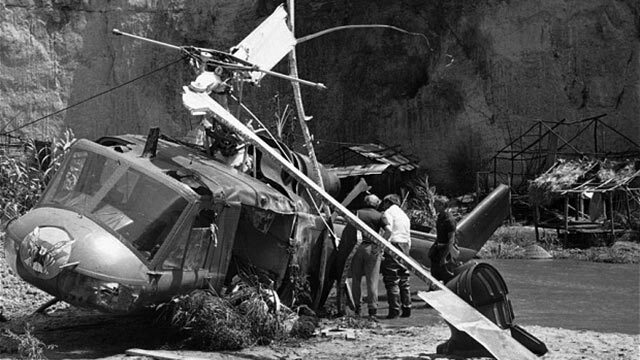 in 1982, during the filming of Twilight Zone: The Movie, a helicopter flying just eight metres off the ground got caught in the pyrotechnics and span out of control, killing actor Vic Morrow and two child actors, aged six and seven. It is fortunate that terrible losses like this rarely happen. However, too often this can be down to luck rather than design. Isn’t safety just common sense?